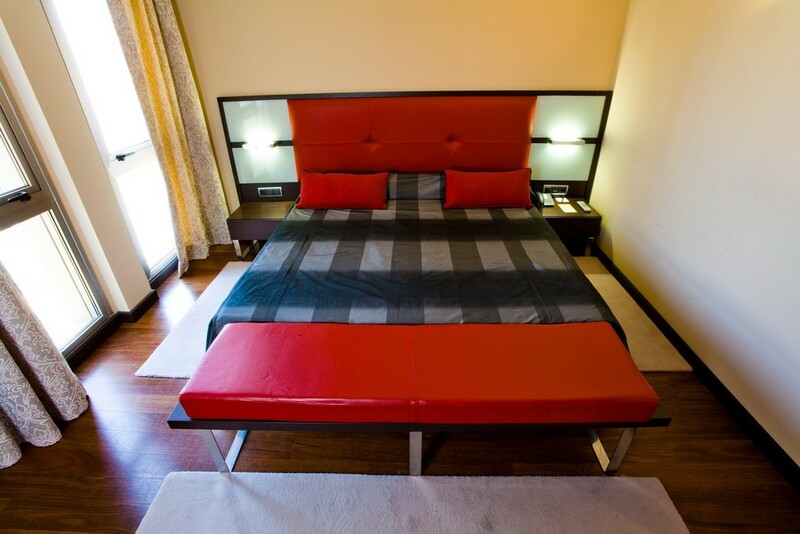 The Family rooms accommodate 3 adults or two adults and two children. They feature a king size bed in the sleeping area and a sofa-bed (1.20m) for the children in the sitting room. Both areas have a 49" tv. They have a seaview balcony.